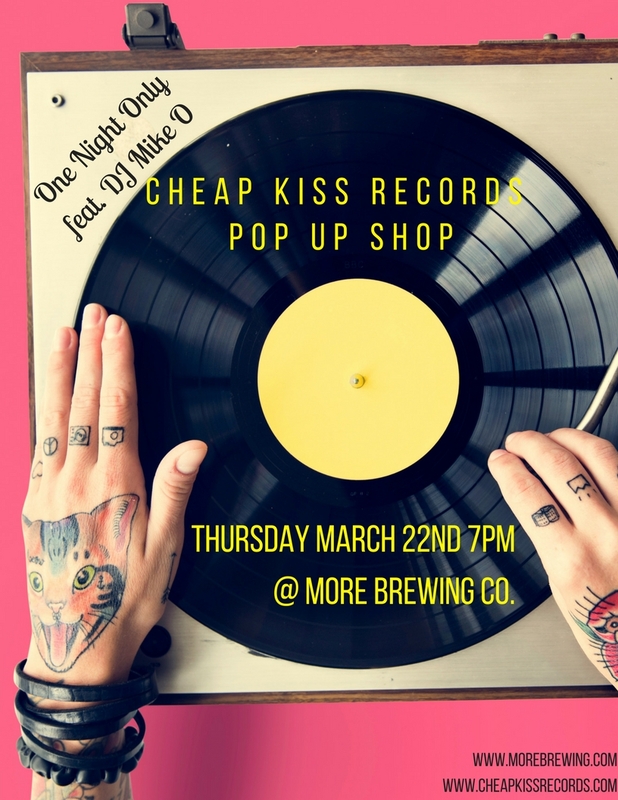 Cheap Kiss Records Pop Up Shop — MORE Brewing Co.
Thursday March 22nd @ 7pm, More Brewing Co. hosts Cheap Kiss Records and DJ Mike O for a one night only pop up shop event. Join us for music, craft brews, and food while browsing 100s of new and old vinyl for sale from Cheap Kiss Records. This kid-friendly event is an excellent opportunity to support two Villa Park businesses while enjoying timeless music and fresh craft beer.